How gamers are using maps... New feature: Shapes! 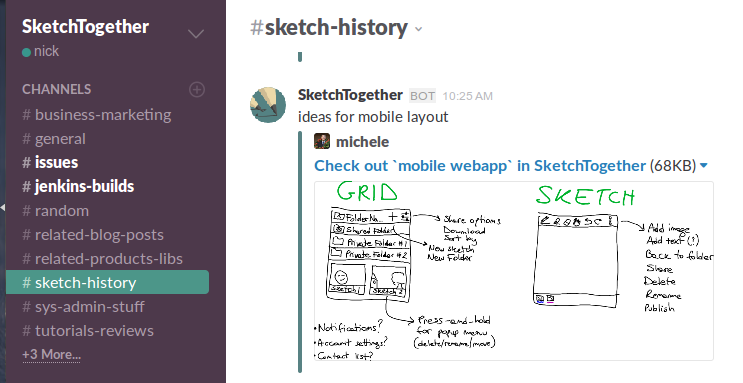 Your online collaborative whiteboard has now come to Slack! Reduce emails even further by sharing your designs and mockups from SketchTogether directly to your Slack channels. 1. Log in to SketchTogether. 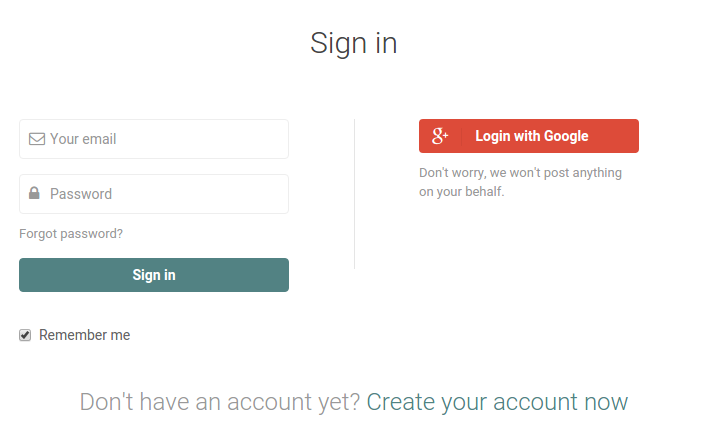 You’ll need to already have an account and be logged in. Log in or sign up now. 2. 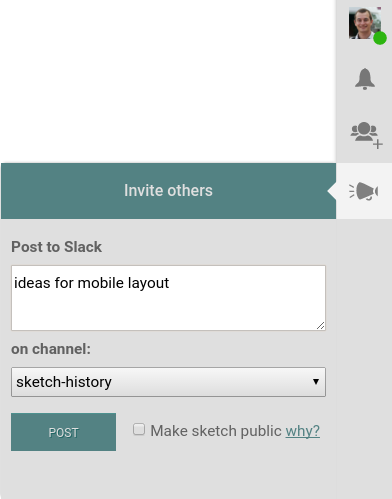 Open any sketch, and press “Add to Slack”. Once you open a sketch, you can tap the megaphone icon on the righthand side to open the “Invite others” box. Use “Add to Slack” to connect your account. 3. 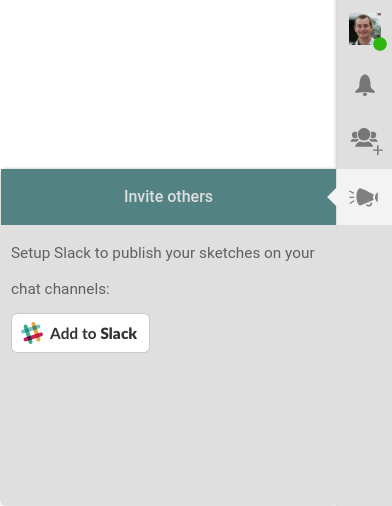 Authorize SketchTogether on Slack. After being redirected to your Slack account page, click on the 'Authorize' button to let SketchTogether publish messages onto Slack. All users inside the same Slack channel you're in will see a message with a link that they can click to quickly jump to that sketch. This is the quickest way to take a discussion from a Slack channel to a sketch, if the need for visual collaboration arises. 4. Post the message to your Slack channel. After you reload the sketch, you can open the “Invite others” box again to post a message. When posting, you can add a message and choose a channel to post before clicking “Post”. 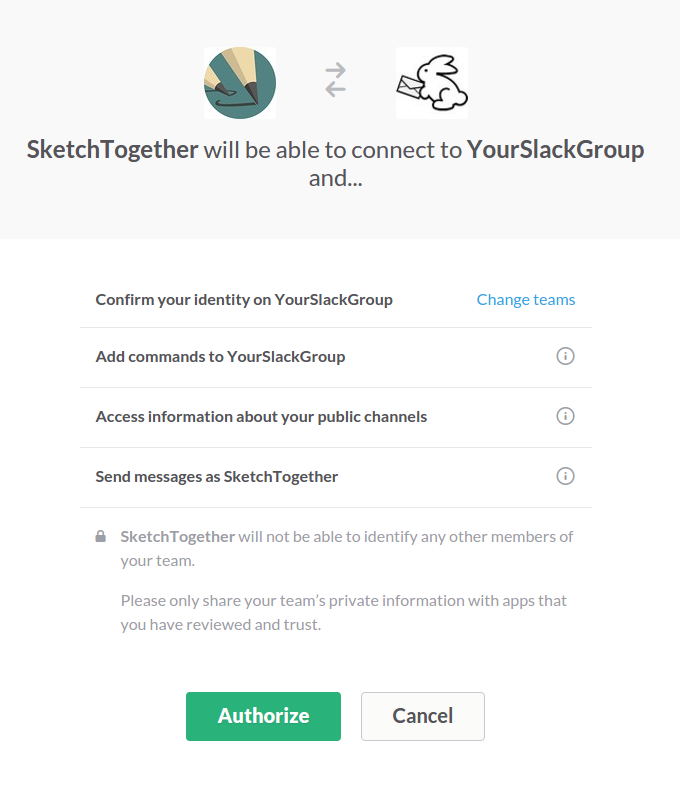 Additionally, if other members of your Slack group don’t have a SketchTogether account, you can check “Make a sketch public” to allow them to open your sketch without logging in. If a sketch isn’t public, then they will need to log in to view your sketch. 5. Success! You can now see your message in Slack. After posting, everyone will be able to see an image of your sketch in the posted channel. Anyone in the channel can also visit your sketch by clicking the blue link (visitors must be logged in to edit a sketch unless the sketch is public). Also, the image of the sketch is a snapshot of when it was posted. If a sketch is posted multiple times, different versions will be visible on the channel (which may be helpful when trying to record the history of a design). Posting a design into your Slack group can help you communicate faster in your team and make your sketches more easily searchable. We’re excited to now integrate with Slack. The barrier between being creative on a freeform canvas and communicating those ideas with your team is now one step shorter.